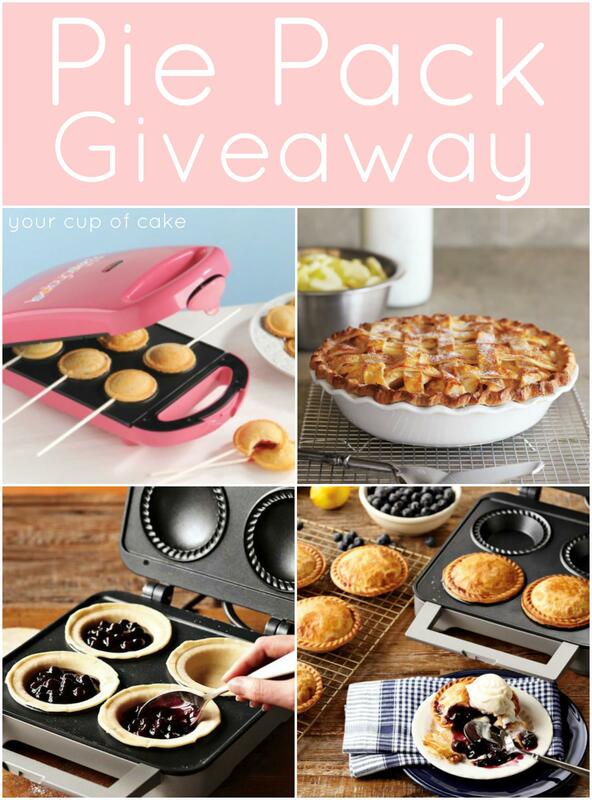 Perfect Pie Crust and Giveaway! Confession. For the longest time I thought the movie was The Count of Monte Crisco. Yeah… I guess I spend too much time in the kitchen. 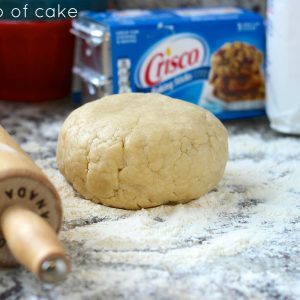 On to less embarrassing things…I’m excited to be a Pie Partner with Crisco® this December and bring you a bunch of great pie recipes AND this amazing giveaway! Do you buy it pre-made from the store? How come? It’s only 4 ingredients! Flour, salt, Crisco and water. If you have a food processor, it’s even easier! First: You’ll need flour, salt, Crisco and water. 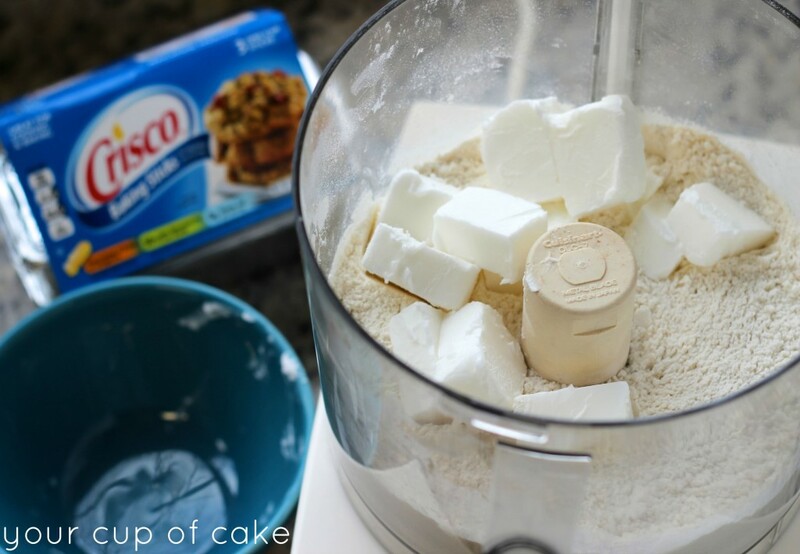 Make sure the Crisco is very cold and cut into small chunks. The water needs to be cold as well, so I usually put some water in a bowl of ice and spoon the water out of that. Second: Combine the flour and salt. Third: Add Crisco. 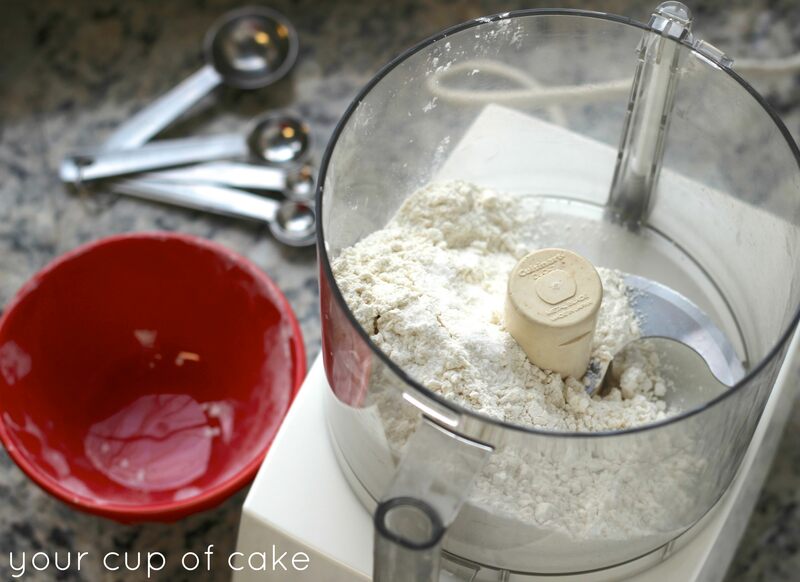 If you don’t have a food processor, you can use a pastry blender. Fourth: Add a little bit of cold water at a time until you can form a ball with the dough. I’ll just take a pinch of crumbly dough and see if it sticks together. Fifth: Wrap and let chill for 30 minutes, OR you can leave it in the fridge for 2 days if you want to make a pie later on. Sixth: Roll out on a lightly floured surface or use my parchment paper tip here. Fit it into your pie pan and you’re ready for an awesome pie filling! 1. BLEND flour and salt in medium mixing bowl. 2. CUT chilled shortening into 1/2-inch cubes. 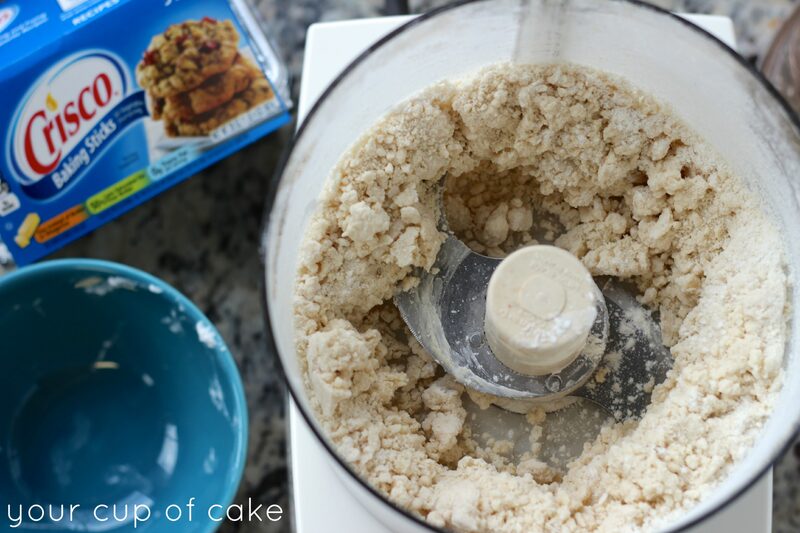 Cut in chilled shortening cubes into flour mixture, using a pastry blender (or food processor) until mixture resembles coarse crumbs with some small pea-sized pieces remaining. 4. SHAPE dough into a ball for single pie crust. Divide dough in two for double crust or double deep dish crust, one ball slightly larger than the other. Flatten ball(s) into 1/2-inch thick round disk(s). 5. ROLL dough (larger ball of dough for double crust pie) from center outward with steady pressure on a lightly floured work surface (or between two sheets of wax or parchment paper) into a circle 2-inches wider than pie plate for the bottom crust. Transfer dough to pie plate by loosely rolling around rolling pin. Center the rolling pin over the pie plate, and then unroll, easing dough into pie plate. -For a SINGLE pie crust, trim edges of dough leaving a 3/4-inch overhang. Fold edge under. Flute dough as desired. Bake according to specific recipe directions. -For a DOUBLE pie crust, roll larger disk for bottom crust, trimming edges of dough even with outer edge of pie plate. Fill unbaked pie crust according to recipe directions. Roll out smaller dough disk. Transfer dough carefully onto filled pie. Trim edges of dough leaving a 3/4-inch overhang. Fold top edge under bottom crust. Press edges together to seal and flute as desired. Cut slits in top crust or prick with fork to vent steam. Bake according to specific recipe directions. -Pre-baking without weights: Thoroughly prick bottom and sides of unbaked pie dough with fork (50 times) to prevent it from blistering or rising. Bake crust in lower third of oven, at 425°F, 10-12 minutes or until edges and bottom are golden brown. -Pre-baking with weights: Thoroughly prick bottom and sides of unbaked pie dough with fork (50 times) to prevent it from blistering or rising. Chill or freeze for 30 minutes. Line pie dough snugly with foil or parchment paper. Fill with dried beans or pie weights. Bake at 375°F for 20 minutes. Remove foil and weights. Reduce oven to 350°F. Bake 5-10 minutes or until edges and bottom are golden brown. Did you know there’s a “Pie Hotline”? Oh yes, you bet there is! Give them a call for all your pie questions! Live pie experts can be reached Monday through Friday 9:00 a.m. to 7:00 p.m. ET and extended hours 8:00 a.m. to 7:00 p.m. ET from December 16 – 23. Additionally, recorded tips and tricks can be accessed 24 hours a day. Love pies and want more ideas? 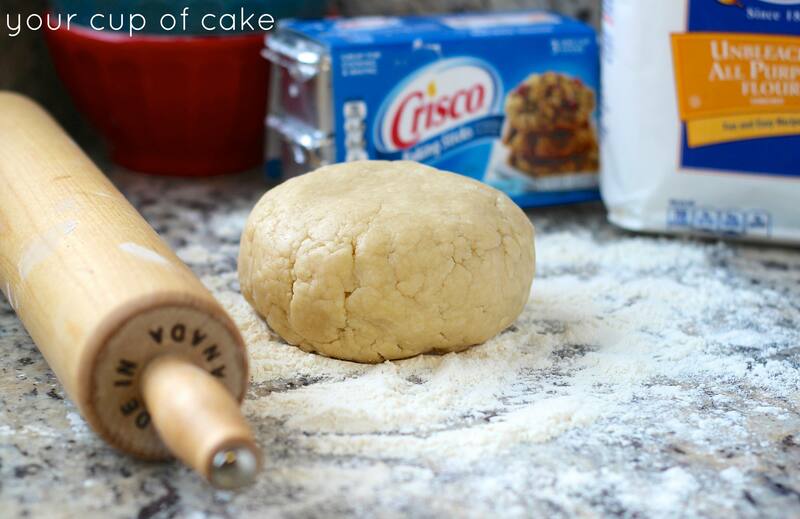 Check out the Crisco Pinterest Boards for holiday pie baking inspiration or the Crisco website to find tips and recipes from Michele Stuart! She’s the author of the best-selling cookbooks Perfect Pies and the new Perfect Pies & More. There’s a Michele Stuart baking prize up for grabs on the Crisco site too! Just enter their Rate and Review Promotion for the chance to win another present for under your tree. Now for the AWESOME giveaway. A white fluted pie pan from Sur La Table that is perfectly adorable! Breville Personal Pie Maker-this is the coolest thing ever! You’ll also get a Lattice Pie Cutter and lots of Crisco to bake your pies with! 1. Comment below telling me your favorite pie flavor! 2. “Pin” any Your Cup of Cake recipe! (Up to 5 times) And comment telling me you did! 3. “Like” You Cup of Cake of Facebook and comment telling me you did! 5. “Share” A link to a Your Cup of Cake recipe on Facebook and comment telling me you did! IMPORTANT: Make sure you leave a separate comment on this blog post for each entry! I have two favorites, pecan and key lime. Oh, and also maple walnut! Cherry pie….YUM!!! With a scoop of Vanilla ice cream of course. Lemon meringue is my favorite to make and eat!! Just made two for Thanksgiving! “Liked” Your cup of cake on Facebook. a good apple, lemon. I guess I just love pie in general. I also like the little pasteries make from left-over pie crust. We sprinkle cinnamon and sugar and dot with butter, then bake. Yum! A bakery used to make these and call them snails! Love them and the memories of helping mom in the kitchen when I was a kid. Pecan and cherry, and razzleberry. Probably pecan is my most favorite! My favorite pie of all time would have to be cherry!! Mmmmm…it just looks so pretty, and tastes sooooo good! :). I love all your recipes!! So glad I came across your website!! I love to bake anything and everything. My specialty is cheesecakes. I would love to see if my idea of using those personal pie makers would work for small cheesecakes, say, lining the bowls with parchment paper. Shared mint cupcakes on facebook! Anything with a crumb topping. Apple crumb, blueberry crumb. You get the idea! Peanut butter pie, the recipe from cool whip not cream cheese… and anything lemon lol! I signed up for email recipes from you for the ideas and great pictures! You are so talented! And I love any pie. But definitely blackberry. Any kind of berry pie is my favorite!!! Pick just one????? Almost impossible … coconut cream pie with whipped topping, not meringue. Shared your Peppermint Bark Puppy Chow recipe link of my facebook page. Just pinned your “eggnog cookies”…. they look delicious! Derby pie is my absolute favorite!!! For those who don’t know what that is, it is a bourbon, chocolate chip and walnut pie that is fabulous but you can only get it here in Kentucky unless you make it yourself! Key Lime or Strawberry Rhubarb but it’s all about the crust! Cherry pie is my absolute favorite type of pie! I love pumpkin pie. And cherry. And blueberry…On second thought, I’m good with all flavors. Pinned Hot Chocolate Truffles, they look so good! Liked you on Facebook… and off Facebook! Apple is my hands down favorite! Pinned your Oreo Crumb Cupcakes, baking it today! fav pie – ALL of them of course! pumpkin with cool whip family fav. 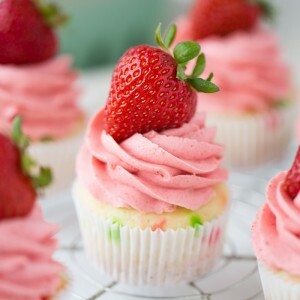 Pinned the strawberry lime cupcakes. Been wanting to try these for a while. Liked Your Cup of Cake on facebook! Can’t believe I haven’t yet! My favorite pie flavor it Cherry. I also liked Your Cup of Cake on facebook..
Love any pie with chocolate. YUMMY!!!!! I follow you on Instagram (nannon67)! I pinned your Chocolate Mousse Cupcakes with Candy Cane Crunch Recipe — making them for a party this weekend! Pinned Your Ultimate Grasshopper Cookies — they’re so pretty! Not sure yet what I’ll bake them for! My favorite pie is fresh apricot with a hint of almond. Pumpkin pie is my fav! I LOVE PECAN PIE & I WOULD LOVE TO WIN THIS PRIZE. Black Bottom is my all time favorite pie flavor but is so hard to find now. Since I have a mouth full of sweet “teeth” I do not have a favorite pie flavor, However, being from and in the South, I often make pecan, pumpkin, sweet potato, cherry, peach, and coconut pies. 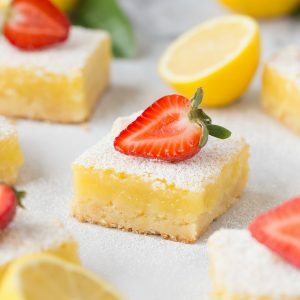 My husband’s favorite is Key Lime so I make it often in the Summer months. 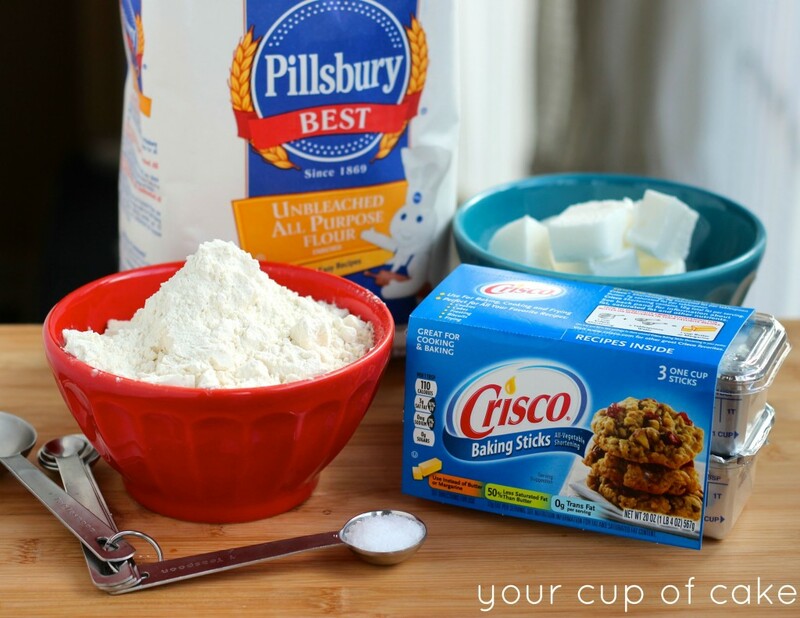 I use Crisco in all my pie crusts, but I prefer the butter flavored Crisco sticks. Its more flavorful for my pies and easy to cut into little squares for my pie crust. I love your Website, Facebook, etc. Keep up the good work and let me know when I can get that new Cookbook? It comes out in mid March! Strawberry Rhubarb is my favorite pie! My favorite pie is a freshly made peach pie. Delicious! My favorite pie is coconut custard! Thx for this gr8 giveaway!!!! I practically pin all your recpies to my Cupcakes board…they are so lovely…and I purchased your book for my Kindle…it is gorgeous!!!! Triple berry is my absolute favorite pie flavor. OOO my absolute favorite pie flavor is cherry. It is definitely the best! Cream of coconut is my all time favorite pie! Nice tutorial! I pinned your Strawberry Red Velvet Cupcakes! I pinned your Double Chocolate Peanut Butter Cupcakes! I pinned your Butterfinger Cupcakes! I love Lemon Meringue and I like your facebook page! I loved reading your tips and tricks for pie crust this morning, I’m really excited to start my Christmas baking!! 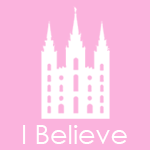 I pinned your Take 5 Cupcakes! I pinned your Peanut Butter Caramel Cupcakes! I am ever the traditionalist; my favorites are apple and blueberry. I would love lemon meringue but I just don’t make it as well as my dear mom did. I love Chocolate Meringue pie!! Really anything chocolate! Apple pie is my very favorite! I pinned pumpkin snickerdoodle cupcakes. Yum!! BTW, I made the no bake peanut butter bars and EVERYONE loved them! Thanks! My favorite flavor of pie is PEACH! My favorite pie flavor is apple, but I like it with the crumbly stuff on top. Sometimes it’s called French Apple and sometimes Dutch Apple. My favorites are apple and bourbon chocolate pecan!! Yummyy! I pinned (and am excited to try) your chocolate mousse cupcakes! Cherry pie is always going to be my favorite! Pinned your Taco Soup recipe! Pinned your easiest cobbler recipe! Pinned your chocolate raspberry cupcake! and your perfect pie crust! I’m afraid that I already liked you on facebook! I linked to your snickerdoodle puppy chow recipe! Pinned your Lemon Cadbury Puppy Chow! Pinned your Thin Mint Puppy Chow! Pinned your Pineapple Cream Cupcakes! Pinned Pumpkin Cream Cheese Bread and Muffins….which may be on the menu this week-end! My favorite pie is: Chicken Pot Pie. Especially over mashed potatoes. Pinned your Double Berry Vanilla Cupcakes! Pinned your Blueberry Lemon Curd Cupcakes! I already liked “Your Cup of Cake” on Facebook! Pinned your chocolate moussse cupcakes! My favorite pie is Lemon Pecan! I pinned Strawberry Red Velvet Cupcakes. I pinned Heath Bar Puppy Chow. I pinned your Chocolate Mousse Cupcakes. I pinned your Perfect Pie Crust. I liked you on FB ages ago. My favorite would have to be coconut cream! My favorite pie flavor is Banana Cream! 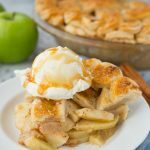 I pinned Caramel Apple Pie! I am a pecan pie fan all the way. I pinned your chocolate chip walnut cookies. I pinned your chocolate chip puppy chow. I pinned your strawberry red velvet cupcakes. I didn’t read part of the directions so will list each pin to Pinterest separately! My bad! I love crumb topped apple pie. PEACH!!! Then berry and apple are a close second. Chocolate Swirl Candy Cane Fudge is one I pinned and will try! I pinned Homemade Oreos, yum! One of my favorites! My favorite pie is chocolate! Favorite pie is strawberry rhubarb! Pinned and made white chocolate peppermint bark puppy chow…YUM!! I like your cup of cake on facebook!! I like a Classic American Apple Pie best. Chocolate cream pie of course! Pecan pie is one of my favorites. my favorite pie is blackberry peach. i die! I “Like” You Cup of Cake of Facebook as Margot Core. I follow Your Cup of Cake on Instagram where I am @margotcore. Coconut meringue is my fave! Love a piece of dutch apple pie! 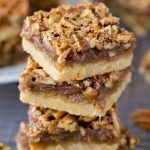 pinned pecan pie bars and made for thanksgiving…yum! pinned blueberry almond mini bundt cakes, they look delish! pinned no bake peanut butter chocolate bars. its my favorite combo! pinned chocolate candy cane truffles…they look perfect for christmas. now following you on facebook too. OMG I love pie!! But, I guess a couple favorites are Cherry & Raisin!! 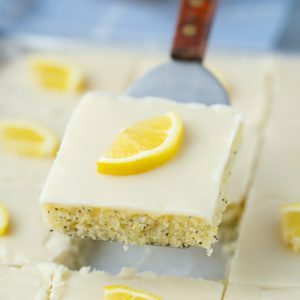 Pinned Lemon cream cupcakes, look delicious! i have to say pumpkin! I love Haupia cream pie! My very favorite pie was my grandmother Aggie’s, Chocolate Cream Pie with Meringue topping. She made it every Sunday for dinner when I was little. I could never match her pie crust. I JUST got a food processor and now will try your method and recipe and maybe I will finally match her magic. I Pinned your Peppermint Bark. It will be a perfect addition to the Christmas Give-away goodie bags at work. I Pinned your Chocolate Mousse Cupcakes with Candy Cane Crunch. So pretty. A favorite since you published it last summer…I Pinned Strawberry Red Velvet CupCakes. I hid a few of the candybars before Holloween and made the Butterfinger Cookies last week. Everyone at work loved them. I Pinned them. I Pinned your Eggnog Cookies too! Apple pie with green apples, raisins and walnuts for ever!!! I pinned a recipe on pinterest!! I pinned your Perfect Pie Crust recipe. I pinned your White Chocolate Candy Cane Truffles. I pinned your Blackberry Forest Cake. I pinned your Blueberry Lemon Poppy Seed Cupcakes. I followed Your Cup of Cake on Instagram. My user name is reeseycup77. I shared your perfect pie crust on Facebook. I follow Your Cup of Cake on FB. I shared the peppermint bark puppy chow on FB. my fav pie flavor is apple! I pinned your peppermint bark puppy chow! I love lemon chess pie! And pecan pie! And chocolate chess pie!! Ok…that was more than one. My Favorite pie flavor is Rasberry pie! My favorite pie flavor is strawberry pie! I shared your peppermint bark puppy chow on fb! I’ve pinned your Frankenstein cupcakes! I pinned your Lemon Mascarpone Cupcakes! I’ve pinned your Chocolate Mousse Cupcakes with Candy Cane Crunch! I pinned you hot chocolate truffles! I’ve pinned your chocolate candy cane truffles! 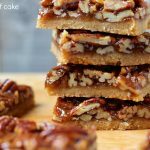 I’ve pinned No Bake Peanut Butter Chocolate Bars! I’ve pinned Peanut Butter Brownie Puppy Chow! Sweet potato pie is the best! I already like cup of cake on facebook! I’ve pinned the no back peanut butter bars. I’ve also pinned the M&M cupcakes with peanut butter frosting. I also pinned the tiramisu cupcakes. I also pinned the puppy chow recipes. I like Your Cup of Cake on Instagram! Great photos, keep em coming! I like Your Cup of Cake on Facebook too! 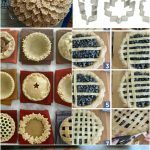 Shared this pie crust link on Facebook…everyone could benefit from it! I found your site last week. I made the German Chocolate cupcakes, which were a big hit!. Since then I have “liked” you on FB and shared your link on my FB page. My favorite pie would be coconut cream! I follow u on Instagram, Pinterest and liked your Facebook page! pecan pie! I could eat it every day I think! I like Your Cup of Cake on FB! I like your cup of cake on Facebook. I pinned your taco soup recipe! Pinned your easy cobbler recipe! I love Brick Oven’s chocolate mousse pie! Dutch Apple and French Silk! My favorite flavor of pie is chocolate cream! I pinned the caramel apple cupcake recipe! I “liked” Your Cup of Cake on facebook! I like Fruit Pizza Pie, which I love to make! I pinned your Caramel Apple Pie! I pinned your Creamy Tomato Basil Pasta with Spinach! I pinned the dark chocolate peppermint whoopie pie! I pinned the chocolate mousse and peppermint cupcakes. I pinned this recipe, for the perfect pie crust. I pinned your peppermint swirl fudge! My favorite summer pie is gooseberry and winter pie – pumpkin. Cherry! I love cherry pie! Or coconut cream 🙂 or Blueberry! 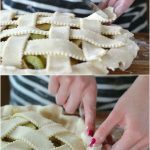 I pinned this piecrust recipe to try! I liked Your Cup of Cake on Facebook. I pinned your caramel apple pie recipe. Apple pie is my favorite!!! My favorite pie flavor is apple! I shared the Sun Dried Tomato Macaroni & Cheese with Bacon! I love Apple pie with a crumb topping. When I was young, my family would put a slice of American Cheese on top. My favorite pie is Coconut Cream Pie! I pinned your German Chocolate cupcakes. I pinned your Pumpkin Snikcerdoodle cupcakes. Pinned monster whoopie pies for next Halloween! I love apple pie, it’s ever better with a scoop of vanilla ice-cream. Yuuummm!!! I pinned your Apple Bread with Streusel Topping. I pinned your apple cinnamon muffins. I pinned your pumpkin puppy chow recipe! My favorite pie flavor is apple, warm and topped with vanilla ice cream. I like any kind of pies except for magpies and cow pies! I would much rather have a birthday pie than a birthday cake! My favorite pie flavor is cherry! Posted your link to your peppermint bark puppy chow on my facebook page 🙂 My daughter will love this… she loves all things peppermint! Pinned your Strawberry Pina Colada Cupcakes 🙂 These were a hit at my office!! 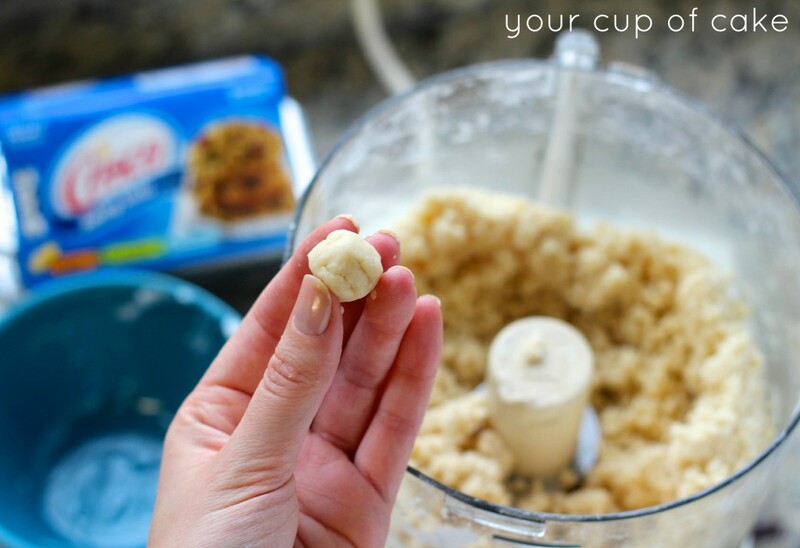 Pinned your Easy Banana Cupcakes 🙂 I don’t know how I missed this one. My boss loves anything with Banana. I am definitely going to make these! For me, nothing beats a good old Apple Pie. I cook mine a very long time and they are yummy. I pinned your Rolo cupcake ! My favorite pie flavor is apple. I “like” Your Cup of Cake on facebook. Shared your link for chocolate mousse cupcakes on facebook. my fav pie is a vinegar pie. its old and not seen much anymore but still my all time fav! Banana Cream Pie is my favorite pie of all time! I pinned Peppermint Bark Puppy Chow! I pinned this pie crust recipe! I pinned Chocolate Mousse Cupcakes with Candy Cane Crunch! I pinned Dark Chocolate Candy Cane Whoopie Pies! My favorite pie flavor is definitely pumpkin!!! I “like” Your Cup of Cake on FB!! I follow Your Cup of Cake on Instagram!! I love to make apple pie!!! lemon meringue is my favorite type of pie! 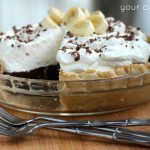 My favorite pie is banana cream pie! As a kid I would ask for one instead of a birthday cake! I love apple pie and almost any berry pie. I love chocolate pie! I found a recipe for the chocolate pie that they used in the movie The help. Good story went with it and how they found the person to bake the pie for the movie. Like on Facebook and shared banana pie recipe, following on Instagram and pinned chocolate chip cupcake on Pinterest. Apple, pumpkin, banana cream, chocolate cream, lemon, fruit pies. Who doesn’t love pie??? My favorite flavor is pecan pie! 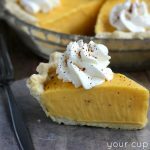 My favorite pie is pumpkin, anytime of the year! I posted your pie crust recipe. It is very similar to the recipe my mom passed down to me and it was passed down to her from my grandma. I love making pie! I tried the eggnog pie. We will definitely be having it again. Made it with my own homemade eggnog too. Your recipes are the BOMB! My favorite pie flavor is pumpkin. I love it. My favorite pie is pecan. And I’ve been making my pie crust with Crisco since my mother taught me when I was 6 years old. I just pinned the Eggnog Pie Recipe. Thanks. Almost blew past them, thinking they actually had pumpkin in them. I am 76 years old. I have never successfully made a pie. The recipe for pie crust was unsuccessful also. Suggestion: 1. indicate the size of pie pan. 2. 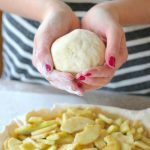 Increase the recipe to allow for those of us (beginners) who could use extra ingredients for ease of rolling out the dough. I really think she covered what you need to know to make a pie crust. Keep shortening and water extremely cold (probably good idea to put moving bowl in freezer for a few minutes too); don’t over work dough, just enough, or else gluten ruins the whole recipe; work quickly also. I had to add a lot more water to get it to the right consistency, but it came out great! Another tip I’d like to add that my culinary teacher taught me is to flour dough lightly once rolled out and ready to add to pie pan, fold dough “circle” in half, them in half again; pick up and place on corner of prepared pie, and unfold. As for the pie pan, If you go to Walmart – or any place really – the size of the pans will be generally the same. And if you want to increase the yield of the recipe, just multiply all the ingredients by the same number. For example, if you want to double it, multiply everything by 2; if you want to triple it, multiply everything by 3; if you want 10 times the amount, multiply each ingredient by 10; etc. I realize i made a typo. I meant to say put mixing bowl cold, not “moving” bowl. My favorite pie?! Is this a test? How can i choose between key lime and apple and pumpkin and blueberry? They’re all my favorites!! Can I freeze the pie dough raw or baked? How would i do this? 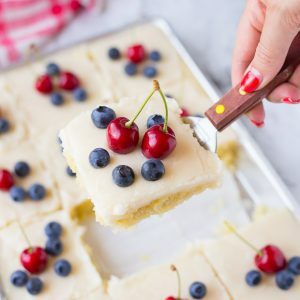 Why is your recipe vastly different from the recipe in your package? The recipe in the package says 2 cups flour and 1 cup crisco?